HP ap5000 - Intel CORE 2 DUO, 64GB HD, SATA, 3GB RAM, Windows 7 downgrade to XP Pro. Keyboard and mouse not included. 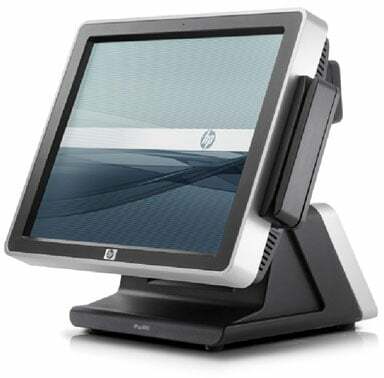 The HP ap5000 all-in-one POS System offers easy implementation within your existing retail ecosystem, is available with your choice of operating system and Intel processor, and is backed by a three-year standard limited warranty. Everything you need to get started, in an all-in-one form factor, is in the box: the CPU, a 15-inch diagonal resistive touchscreen display, magnetic stripe reader, and two-line customer facing display. Choose from pre-defined configurations of memory, Intel processor, and storage, including a Solid State Drive option. The durable steel chassis has been tested to withstand the prolonged wear and tear typical in retail. The touchscreen display is liquid- and dust-resistant. Use fingertips, fingernails, a stylus or credit card edge. The HP VS717UT#ABA is also known as Hewlett-Packard	VS717UT#ABA	or VS717UTABA	.